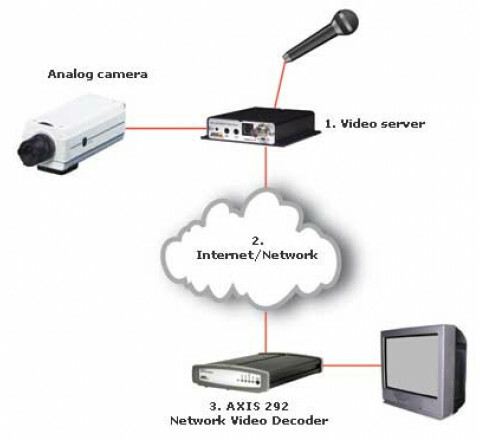 1 channel network video decoder to PAL and NTSC video. 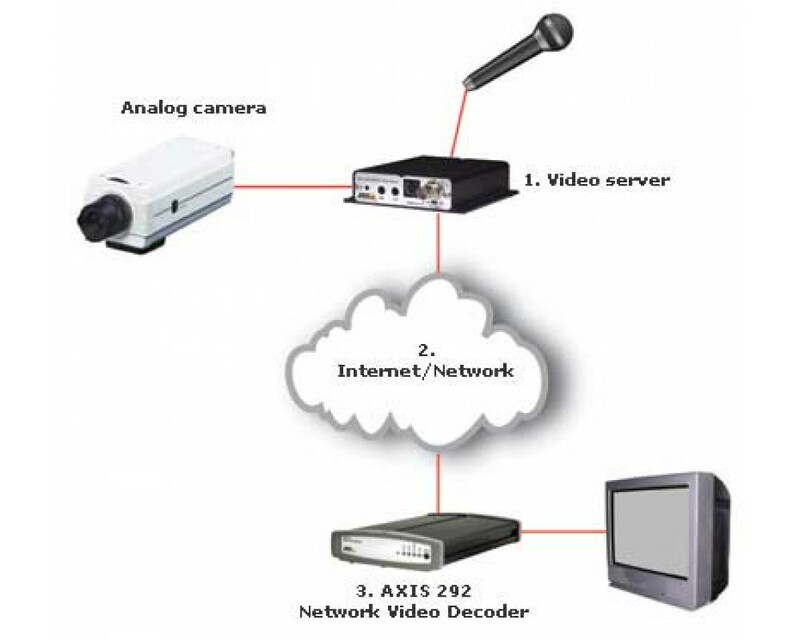 Motion JPEG, MPEG-2, and MPEG-4. Up to 30 fps.